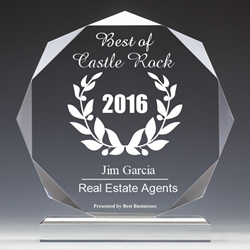 Keller Williams Action Realty Real Estate Agent Jim Garcia was awarded the 2016 Best Businesses of Castle Rock Award in the real estate category for the third year in a row. The award, which is presented annually by the Best Businesses of Castle Rock Award Program, identifies and honors exceptional local businesses for their achievements and accomplishments, as well as for their contribution to the community. 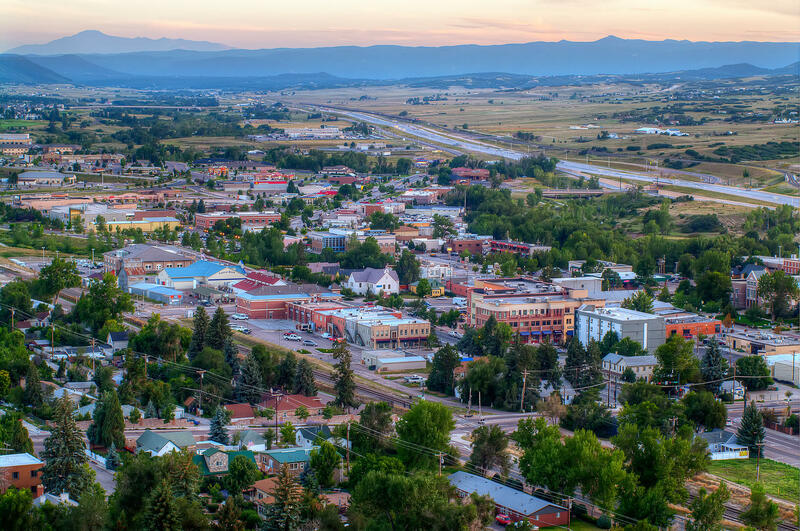 the Best Businesses of Castle Rock Award Program, identifies and honors exceptional local businesses for their achievements and accomplishments. Keller Williams Action Realty Real Estate Agent Jim Garcia was awarded the 2016 Best Businesses of Castle Rock Award in the Real Estate Category for the third year in a row. The award, which is presented annually by the Best Businesses of Castle Rock Award Program, identifies and honors exceptional local businesses for their achievements and accomplishments, as well as for their contribution to the community. In order to determine award winners, the program analyzes various sources of information including data provided by third parties. Jim specializes in helping clients buy and sell Castle Pines CO real estate, Parker CO real estate, and properties in all other surrounding areas of Douglas County, Colorado. His natural ability to connect with his clients on a personal level is just one of the factors that contributes to his repeated recognition by the Castle Rock Award Program. As a true Castle Rock real estate expert, Jim thoroughly understands the unique characteristics of the many neighborhoods in the area. His extensive knowledge allows him to help his clients make the best possible decisions when buying and/or selling their Douglas County home. Staying true to his philosophy of being the best possible advisor and marketer to each of his clients, and to deliver an exceptional level of service to the community, Jim recently launched a new mobile real estate app. The free app (available in the App Store and Google Play) provides an interactive map that helps users find homes that are for sale in a specific location, allows users to receive property alerts, and provides users with an efficient method for communicating with Their Real Estate Agent to ask questions or schedule a showing. Jim Garcia is a Keller Williams Action Realty agent who specializes in buying and selling homes in Castle Rock, Castle Pines, and Parker, Colorado. By providing exceptional customer service and solid advice to his clients so they can make well-informed buying and selling decisions, Jim’s goal is to help clients achieve successful real estate transactions. Jim has worked in the real estate industry for more than 20 years. He has extensive experience working as a real estate broker, buying and selling and fix and flip properties, working in construction management, and purchasing and managing investment properties. He is the winner of prestigious real estate awards and has been featured in the Colorado edition of Top Agent Magazine. He is a member of the Colorado Association of Realtors, the National Association of Realtors, and the Douglas Elbert Realtor Association.